What do the world's most successful bloggers know that you don't know (yet)? 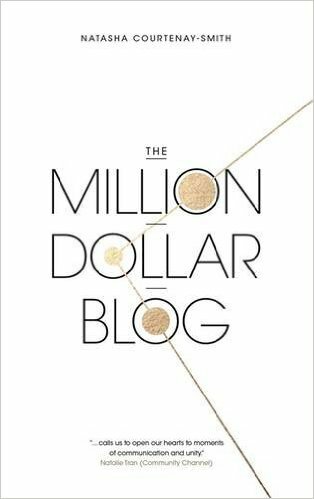 No matter who are you - a mum at home, a budding fashion blogger, a lifestyle blogger, a food blogger, a big business owner or a small business owner - The Million Dollar Blog is about blogging the smart way. Through a combination of practical advice and interviews with some of the world's most famous and successful bloggers, vloggers and content strategists, including Seth Godin, Lily Pebbles, Grant Cardone and Madeleine Shaw and dozens more, entrepreneur and digital strategist Natasha Courtenay Smith shows you how to build a blog that will increase your profile, create new opportunities, earn money and change your life. 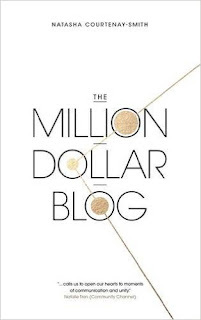 No wonder The Million Dollar Blog has been described by leading and award winning mummy blogger Vicky Psarias from Honest Mum as 'Brilliantly written, engaging and inspiring'. I will freely admit in the last two or three months, my blogging mojo has pretty much crawled away and hidden under a rock with its eyes closed and its fingers in it ears. 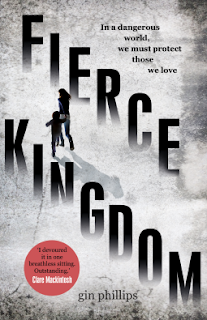 An invitation to read this book appeared in my inbox and it intrigued me. Yes it sounded like there was a lot of info for the blogger just starting out but it also sounded like it was full of info and ideas that could help a seasoned and slightly jaded blogger like myself. Natasha Courtenay Smith is a former journalist who has very successfully turned her hand to (amongst several other things!!) digital marketing, she knows her stuff and I was excited to see what the Million Dollar Blog had in store for me. Quite frankly it has a wealth of detail, from interviews with pro-bloggers who have been there and done that to helpful tips on how to monetise your blog. From my point of view it has given me a lot of food for thought, at the moment I don't have any proper advertising on my blog, now I am highly unlikely to become a pro-blogger but a small (or tiny) income from advertising on my blog is something I have seriously considered. The books takes you through the different ways advertising can be placed on your site. There is also a lot of helpful information on SEO optimisation and getting social, I already love Pinterest, Twitter and Instagram but it has given me inspiration for sorting out my Facebook page and maybe downloading Snapchat - those filters look seriously cute. I really is an inspiring read, I'm not going to make a million dollars but this book does show that blogging is a seriously business and there are opportunities round every corner for all bloggers from the likes of me to super uber bloggers like Zoella. Whether you have been blogging for six months or six years, I think you will definitely get something from this book, I did and as for my blogging mojo?, well its came out from underneath the rock!! Thanks to Piatkus for sending me this copy in exchange for an honest review. It is a good book and covers a lot of ground and tech stuff I didn't consider. I am glad this book could help you find your blogging mojo once again! I haven't monetised my own blog as well, and though I doubt I'll be making a million dollars, I am hoping to make a little bit of money which can go to things like sending costs for giveaways and be able to pay for a new design and stuff like that. Feed the money right back into the blog! Exactly, every little helps doesn't it! Great review of this wonderful book! By far this book has been the best motivation for me to really take blogging seriously. The part that personally appreciated about The Million Dollar Blog the best was the repeated fact that you must 'put yourself' literally into the blog no matter what kind of blog it is. That was something that was missing in my blog bookmattic.blogspot.com until I read the book this month. Although I still have many things to improve on still, just adding that one factor has tripled my traffic. The blogosphere is an ongoing changing environment that us bloggers have to constantly adapt to. It's why I loved this book and I'll be expressing more of what I think in my upcoming review if you'd like to check it out. I'll be posting it next Saturday the 29th of April. Since you're a more successful blogger than me right now I'd really be honoured if you stop by to take a look. Thank you for the awesome review and I hope we can continue talking about this subject. Thanks for stopping by. Blogging is very hard work whether it is a hobby or a your main job but yes if you don't put yourself in to your blog you won't stand out from the others. Good luck!